JAMAICA, Queens (WABC) -- Flames broke out on a jumbo jet soon after it landed at JFK Airport. 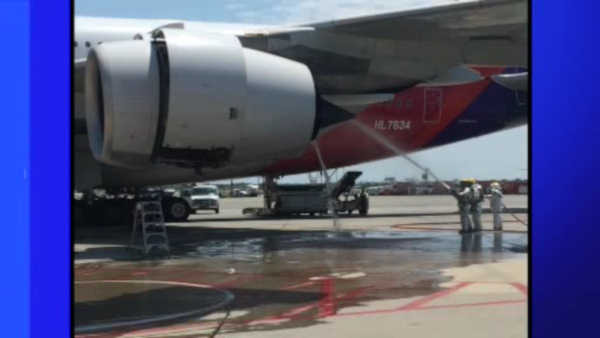 The Asiana flight from Seoul, South Korea landed shortly before noon on Friday morning. After all the passengers disembarked, mechanics were attending to the airbus A-380 when a fire ignited in one of the engines. Firefighters responded and extinguished the flames.